While it appeared that the show had fallen through, Ring of Honor is set to run Madison Square Garden in 2019 after all. 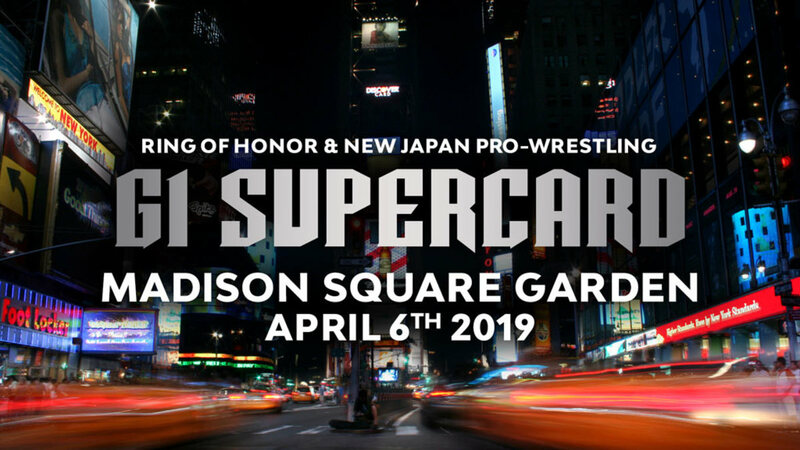 ROH and New Japan Pro Wrestling announced today that "G1 Supercard," a co-branded show from the two companies, will take place at MSG on April 6, 2019. That's on the Saturday of WrestleMania weekend in New York/New Jersey. NJPW's Kazuchika Okada, Hiroshi Tanahashi, and Tetsuya Naito are already advertised, along with "all of the top ROH stars." After ROH's plans to hold a show at Madison Square Garden next year were made public, Dave Meltzer reported in June that WWE was doing everything possible to block it from happening. Koff then did an interview with PWInsider where he said that MSG informed ROH that they were backing out of the event after "communications from the WWE." Koff said he expected that ROH's lawyers would be contacting all of the involved parties in hopes of finding a resolution. Tickets will go on sale to HonorClub members on Wednesday, August 8 at 10 a.m. Eastern time before being made available to the general public on August 10.